Hannah is the National Marketing Manager at Power Living and joined the team in September 2013. After working for advertising agencies in the UK and Sydney she wanted a change of scene – to work in an industry and for a company which she felt genuine passion for. She began practicing at Power Living in 2011 and jumped into the 40 Day Challenge to commit to a regular yoga practice. 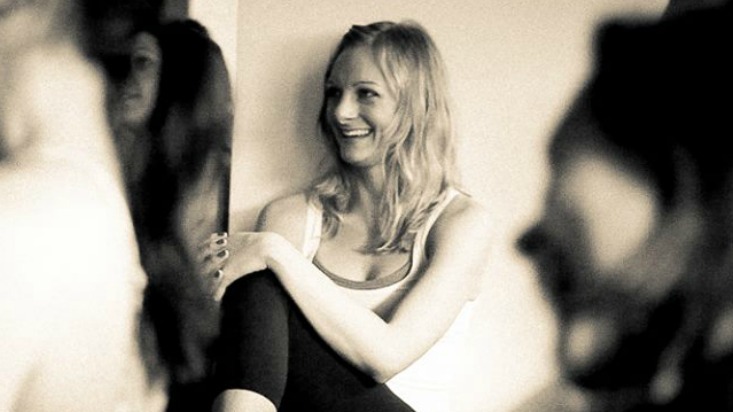 She fell in love with Power Living’s yoga and the community immediately. Soon after she attended a retreat in Bali which completely shifted how she saw herself and her place in the world. Hearing that they were looking for some admin support on the retreat, she decided to contact them on her return, only to find out that they were looking for someone to create their marketing department. The rest as they say is history. Based in the Manly studio, she looks after marketing for all studios nationally and with the addition of New Zealand, internationally! Though Power Living’s communication with the yoga community, Hannah shares the transformational practice and teaching’s from Power Living outside of the classroom. What started out as a form of fitness or hobby has turned into a way of being and life of service. Well it’s not one word but here goes… Loyal, honest, funny and organised. Anything by Fleetwood Mac – LOVE! Moving to Australia. I didn’t want to get years down the line and regret not taking a chance. I came for a two-year stint in 2010 and I’m now a citizen and loving life! It taught me to have the courage to try something new, even if it seems like a crazy idea, because you never know what is possible unless you try.